The interiors of a villa are undoubtedly important, but when you’re on holiday you want to be outside! The following villas are in some of our most beautiful and sunniest locations, and have glorious gardens for enjoying the fresh air and catching some rays in your own private eden. We have something for every taste, be that wild and thriving micro-jungles, expansive lawns that are perfect for games, or paradises with immaculate waterscaping. 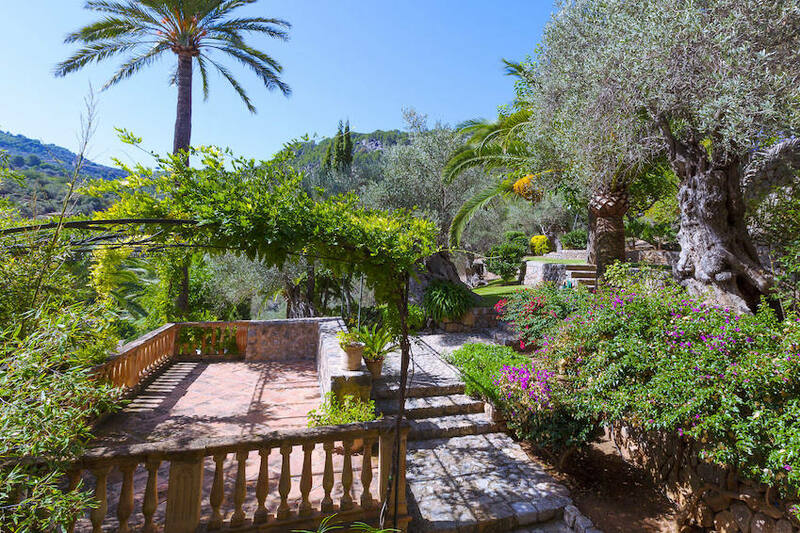 This 17th century Mallorcan farmhouse has incredible grounds that host 50 hectares of olive groves, orange and lemon orchards and a vegetable garden amidst lawned terraces. When in the large 16m pool, lush palms and gnarled olive trees provide you with gentle shade, the incredible greys and greens of the mountains looming all around you. Every corner of the outside is just bursting with green life; from the vines crawling over the trellises, to the bushes of blooming purple, pink and blue flowers lining the brick walkways; the packed courtyards that are scattered with dozens of great potted plants and trees shooting for the sky, to the pots and bushes lining the driveway. 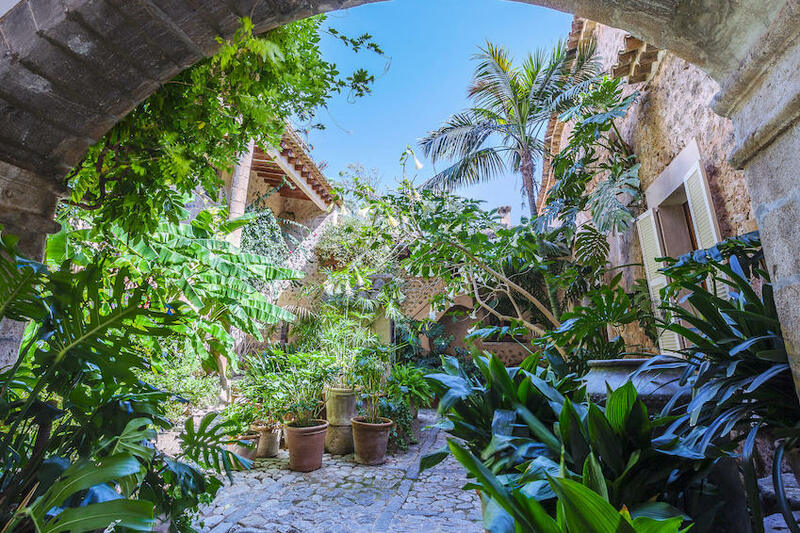 It’s a true labour of love in the Mediterranean from a gardener with a very green thumb. 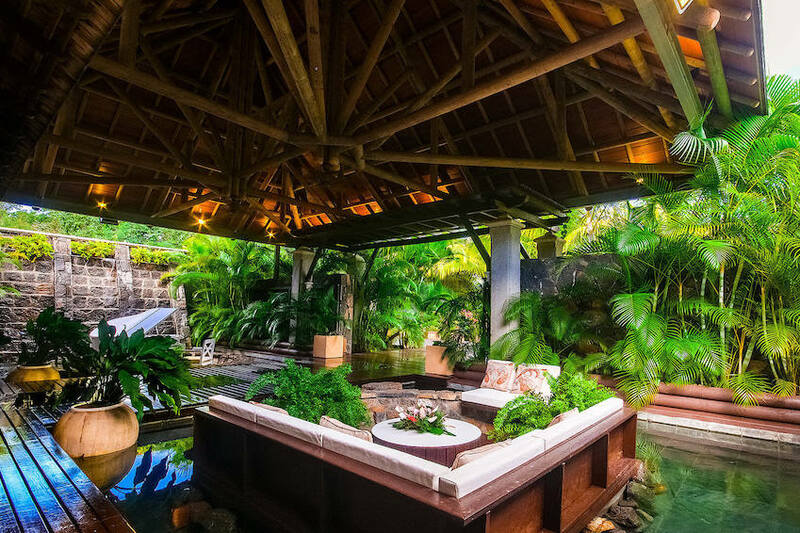 Beautifully landscaped, the gardens of Nag Shampa in Bali are a haven of tranquility. 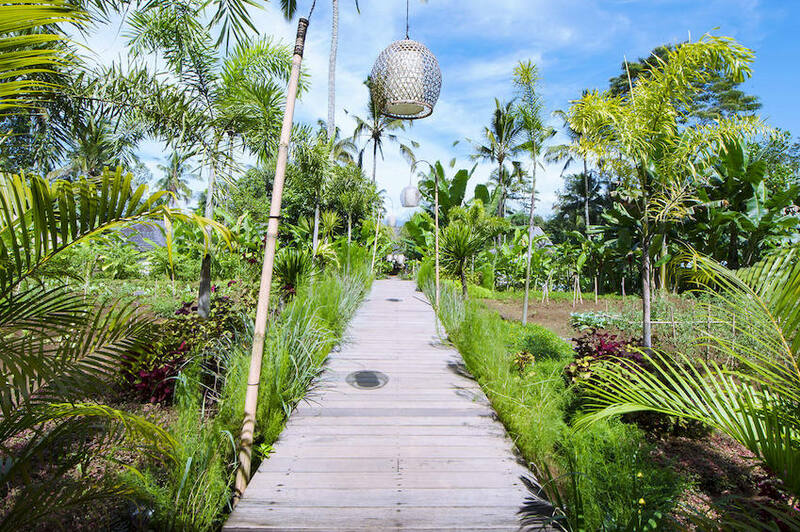 As you walk across the many criss-crossing wooden walkways, you’ll pass sections fringed by long grasses leading to pools, or sections in the middle of vegetable plots with palms and small trees jutting up from the earth around them, delicate lanterns dangling overhead. The lush vegetation is so thick around each section of the gardens that it forms a natural wall of privacy. It really does feel like a haven that is shut off from the worries and hassles of the outside world, where you can just take the time you need for yourself. To Provence, to a pool surrounded by the curling arms of agave plants, fanning palms and twisting olive trees. There’s even a wild open-air shower by the poolside, winding branches twisting their way around the shower stem. You can admire this lovely wild garden while you dine on the modern picnic table on the outdoor terrace, a truly delightful setup for getting the most of the Provencal summer sun. If your own private, spacious lawn is what you desire from a villa, whether it’s for family activities, running about, or just to have tons of spots to choose from to lay a towel down and sunbathe, Ezzahra certainly has it. This large luxurious villa in the Palmeraie is specially designed to be perfect for family retreats, and has a colossal lawn that would tire out even the most active of little ones. Cacti line the walkways, atmospheric glass lanterns are lit at night and dotted about the grounds, and the chillout spaces are endless. These range from grand lounge tents with cushions, rugs and sofas inside, to dozens of outdoor beds that line the pool or are placed in particularly picturesque spots around the garden’s lawns and trees. 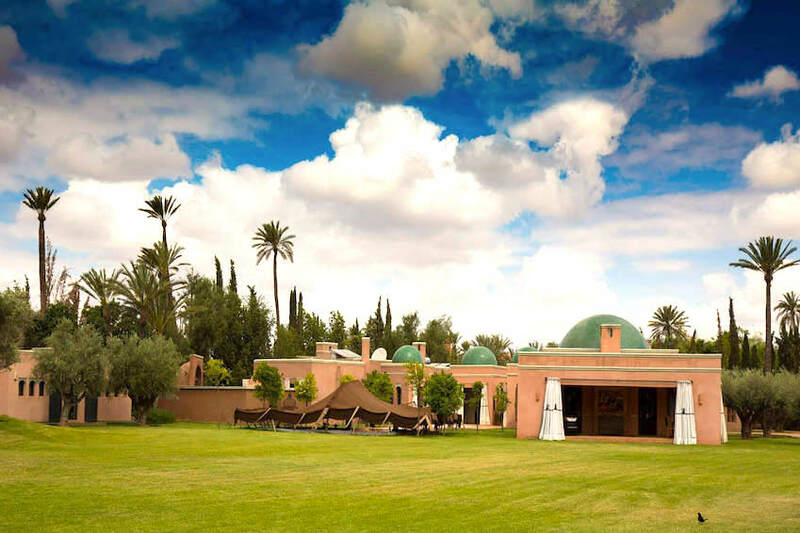 This is the place for a large family getaway of absolute luxury and green beauty in the warmth of exotic Morocco. For a garden that directly overlooks the turquoise waters of Phuket, Sava Beach Villas offer a place where expansive green lawns meet the ocean horizon, broken up by a slither of golden sand. 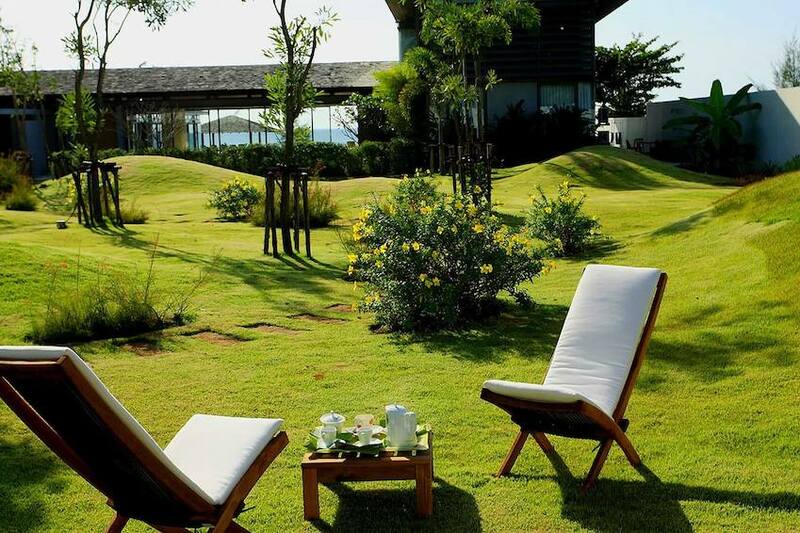 Lay on the flat lawns right by the beachside, or take to the lounge chairs on the interesting lawns on the other side of the villa that are strangely made up of many small undulating hillocks, a countryside landscape in miniature. The large beachside lawns are perfect for beach games, why not hop between the two? The outdoor areas of Villa Tamalia are a marriage between earth and water elements, each carefully sculpted around the other. The various outdoor pools have jets of water pouring into them, with cascading edges and inbuilt stone stools that are partially submerged to sit on. However, it is interesting features such as the shallow waterways surrounding the outdoor seating areas that are truly unique, giving the illusion of you being on a cushioned floating island. Fantastic palm leaves erupt everywhere in clouds of green, and stepping stones weave across the lush lawns. Slow down in an eden of tranquility, allowing yourself to be soothed by the overlapping sounds of falling water. What makes the garden of this villa so lovely is the unique nature of its pool, which is a natural one that has the appearance of a lilypad-studded pond, but with man made steps and a handrail disappearing under its surface. A wooden-planked walkway and decking surround it, with lounge chairs both in the sun and under a covering trellis so that you can alternate between sun and shade. 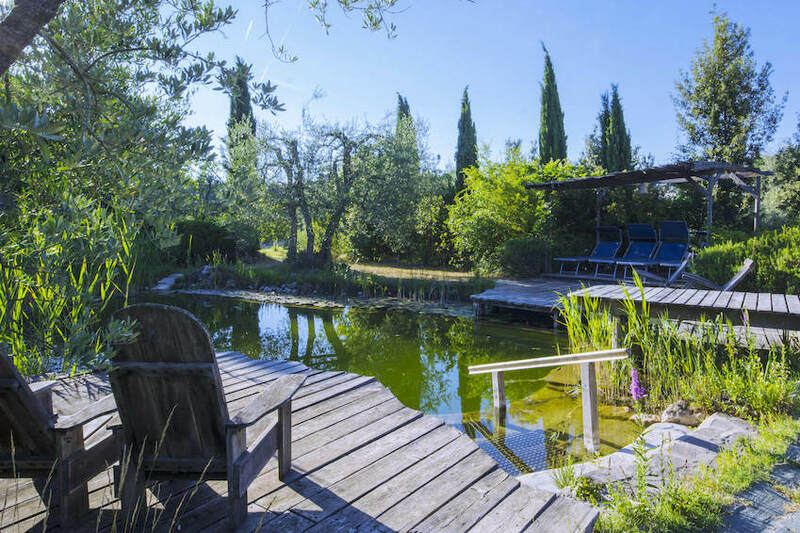 Cypress trees jut up around the property, vines crawl up the walls of the 17th century house, olive trees border a picturesque vineyard, and lawns look over the Tuscan countryside. It’s a delightful slice of traditional Italian rural living!